Predicting the future can be risky business, but demographics tell us there is one irrefutable element in Arizona’s future - the disproportionate growth in young Latino citizens. 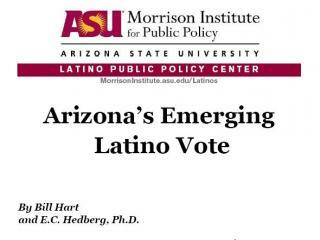 Latinos constitute Arizona’s most rapidly growing ethnicity and could represent more than 50 percent of Arizona’s population by mid-century. The ramifications will be profound, with major impacts to be felt in the healthcare industries, at all levels of education, the workforce population and in state budgeting - just to cite a few. But perhaps the most important and far-reaching shift will be a change in statewide voting patterns and elections.